Finally watching the Wakfu OVAs put me very much in the mood for more Wakfu. There’s no more Wakfu to watch until Season 3 begins next month, but that didn’t mean there wasn’t more from the universe I could see. 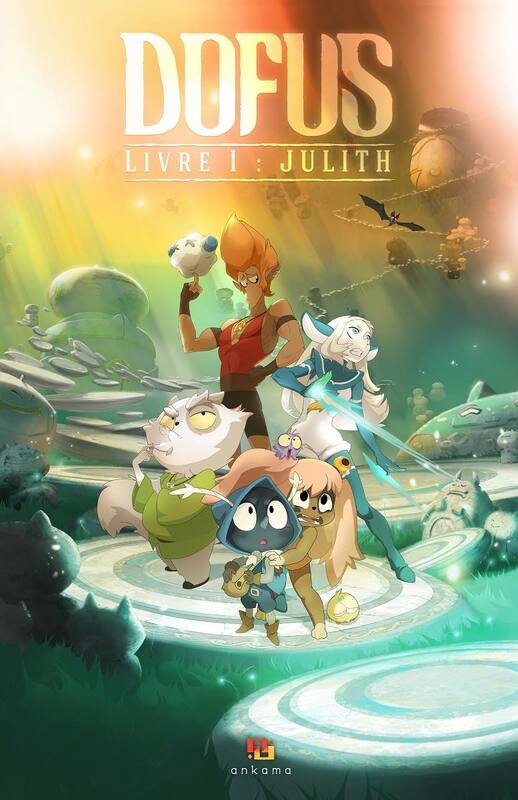 I still had this to watch, the first in the Dofus films, released theatrically in France earlier this year. France has been producing some impressive animated movies in recent years, Le Jour des corneilles being a particular favourite, and it seems fitting that Ankama got something up on the big screen. And to mark the occasion, they’ve upped their game, creating something beautifully fluid and ambitious, yet again pushing the boundaries of Flash further than anyone else. I couldn’t say this movie quite stood alone, requiring a fair bit of knowledge of Joris’ background, but parents accompanying their kids or random cinemagoers probably would have enjoyed this as a standalone piece. The story picks up three years after the end of AuxTrésors de Kerubim. Little Joris is still little, but a slightly more rebellious 10-year-old, rather than the adoring 7-year-old of the series. He still adores his papycha Kerubim, but rebels against him a little, too, especially when it comes to seeing the Boufbowl games. However, life around Kerubim is never simple, and when the formidable Huppermage named Julith comes for the dofus Kerubim is protecting, there’s little our heroes can do to oppose her. Joris and little Lilotte, now much closer to Joris than she was in the season, have to join forces with a young rival Huppermage named Bakara and a swaggering Boufbowl player named Khan Karkass to secure an opposing Dofus and use it against Julith before she can put her wicked and very Fullmetal Alchemist-esque plan into action. And Joris might just discover a thing or two about his real parents along the way. Where Julith really succeeds is in not taking itself too seriously. The characters have the typical Ankama eccentricity to their designs, with Julith having a very distinctive nose, Khan Karkass being the silliest Iop design yet and Bakara looking somewhat like she belongs in The Dark Crystal. There’s some wonderful bathos to some of the rather serious moments, and the fact that underpants are instrumental to the antagonist’s plan just undercuts everything nicely. Like many French animations, it also covers territory that American family fare tends to shy away from – getting drunk, flamboyant homosexuality and explicit heterosexual desire, too. It’s also both silly and rather joyful that defeating the antagonist essentially turns into a game of Boufbowl at the end. But the heart of the piece is of course Joris and he retains his extremely likeable personality from the series. He’s still a very long way from the Master Joris we saw in Wakfu, but he’s also growing and changing. And yes, as expected, we had an explanation for why Kerubim calls him ‘Father’ in the OVAs – if not yet a similar one for Atcham. I’m excited for more Wakfu, but I have to say far more than the peaceful, fun little series that was Aux Trésors de Kerubim, this movie made me excited for more Dofus. I’m very keen to see where things will go with Livre 2. I'd recommend it, yes! Wakfu is the place to start. It begins a bit kiddie but gets very good toward the end of the season.